The inspiration for Acoustic Madness was born on one of the many trips Mitch & Bob took to Jamaica with their band Black Market during the late ‘80’s & ‘90’s. Sitting in an outdoor cafe, they witnessed 2 local musicians put on a delightful unplugged show with simply an acoustic guitar and a cajon. With merely the 2 instruments and their voices, they created a splendid sound, with the cajon (simply a hollow wooden box with a sound hole that the musician sits on and strikes like a drum) covering a lot of the low frequencies associated with the bass. The inspiration for Acoustic Madness was born on one of the many trips Mitch & Bob took to Jamaica with their band Black Market during the late ‘80’s & ‘90’s. Sitting in an outdoor cafe, they witnessed 2 local musicians put on a delightful unplugged show with simply an acoustic guitar and a cajon. With merely the 2 instruments and their voices, they created a splendid sound, with the cajon (simply a hollow wooden box with a sound hole that the musician sits on and strikes like a drum) covering a lot of the low frequencies associated with the bass. The duo borrowed this template from the two Jamaicans and started playing gigs regularly in southeast Michigan. Soon after, Mitch took up the mandolin. A life long violinist, switching to mandolin (which has the same fingerings & notes as violin) was a smooth transition. 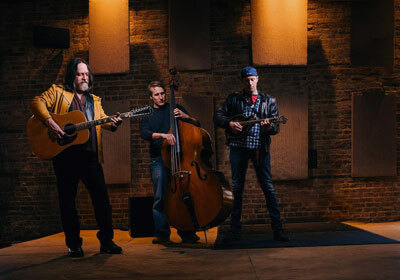 Missing the fullness of a normal band, they enlisted the upright bass talents of Ken Pesick in 2010. They have been playing steadily with this line-up ever since, occasionally using the vocal talents of Bob’s wife, April. 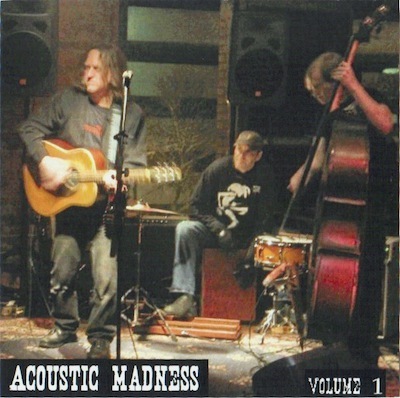 Acoustic Madness released the CD “VOLUME 1” in 2011 on Bob’s indie label Hanzie Records (CD HR-011). It was basically an introduction to the group, with live performances recorded in the studio of some of the popular covers they play on a nightly basis, including “Wichita Lineman”, “Everybody’s Talkin’”, “Friend Of The Devil” and “Tangled Up In Blue”. A standout on the album is the original “Stay”, which is reminiscent of an old vocal standard such as “Cry Me A River” or “Misty”. 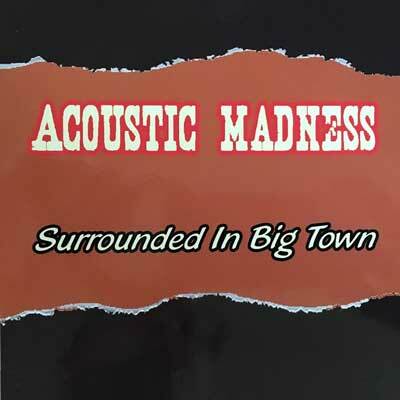 The band’s 2nd release, simply titled “ACOUSTIC MADNESS” (CD HR-016), was released in 2014. The guys started work on it at Bob’s Tree Farms Studio in 2012 and finished recording at the beginning of 2014 at Bob’s new locale, Sterritt Sound. 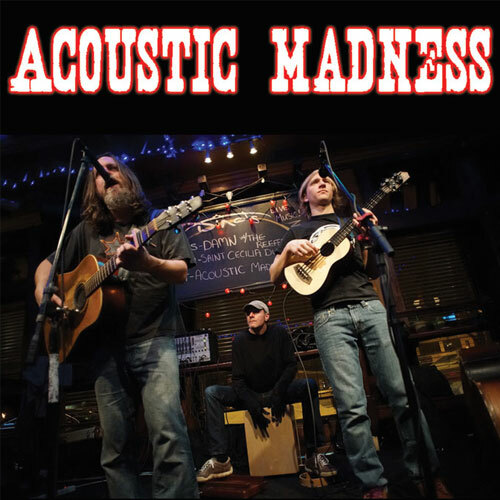 “ACOUSTIC MADNESS” is a labor of love and many nights after some of their gigs the guys would toil in the studio into the wee hours. With 6 brand new originals and 6 very interesting covers, the album spans many different styles and moods. From Americana (“Midday Swoon”) and Tex-Mex (“Padre & the Senorita”) to psychedelia (“Kathy”) and bluegrass (“The Way It Goes”). The covers on the album represent a survey of the guys’ musical heroes: such as Phish’s “Back On The Train” & Bob Dylan & The Band’s “When I Paint My Masterpiece”. Radiohead’s “I Might Be Wrong” is the lead off music video from this project - check it out on our HOME page. The CD is rounded out with 3 stirring instrumentals on the album, including a majestic version of “Theme From Midnight Cowboy”. Why Did They Kill The Radio?